Ohashi may need to look outside Fukushima now for organic suppliers for his bread. He says we need to learn to coexist with radiation. 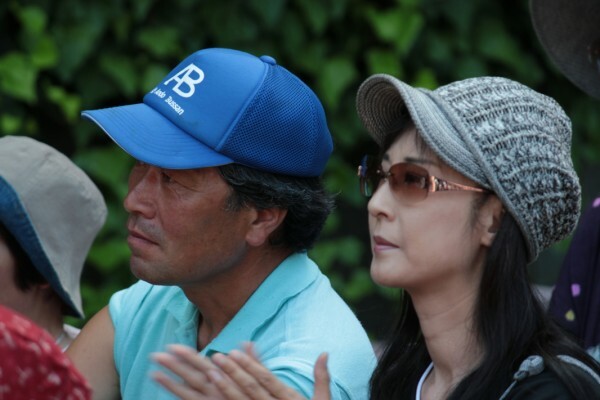 Suzuki and Fukumoto are leaving the idyllic farming community of Kaidomari to live in balance with nature elsewhere. 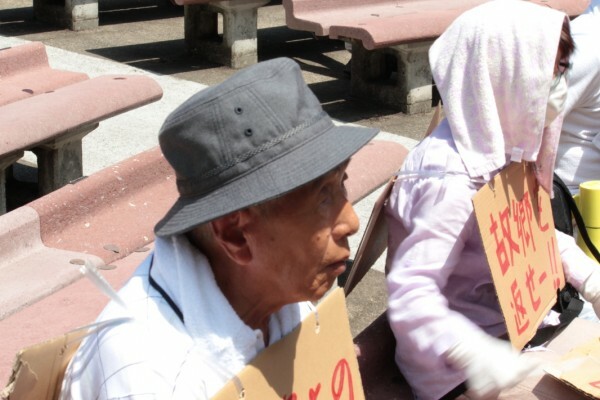 Hongo won’t sell his potentially contaminated rice this year, but he’s eating it himself. 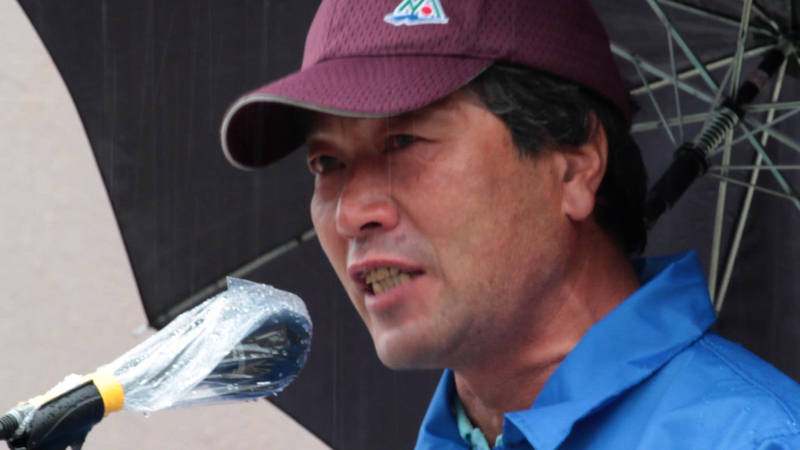 Yoshizawa wants to save his 300 irradiated dairy cows from a death sentence. Yamamoto was a farming intern when the disaster struck. She decided to stay and volunteer at an evacuation center. Yoshida is committed to stay and continue farming on the land his family has cultivated for 200 years. Tens of thousands of people evacuated due to radioactive fallout from the Fukushima Daiichi Nuclear Power Plant are living in shelters and storage unit-style temporary housing. Nearly 100 have committed suicide. Many relocation centers are in highly radioactive areas—sometimes higher than the towns that were evacuated. 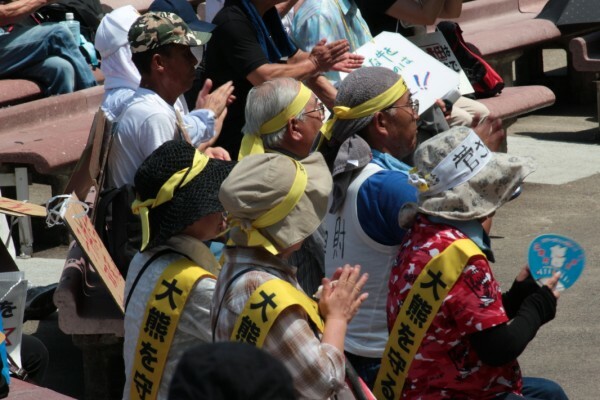 On July 12, the evacuees held their first protest in Tokyo, marching from Hibiya Park to parliament, calling for their land to be decontaminated, and for better resettlement conditions. “Don’t forget us” was their rallying cry. Fujiwara is an animal welfare advocate for Saitama Prefecture. She's helping Yoshizawa try to save his 300 cows from a government-mandated death sentence. 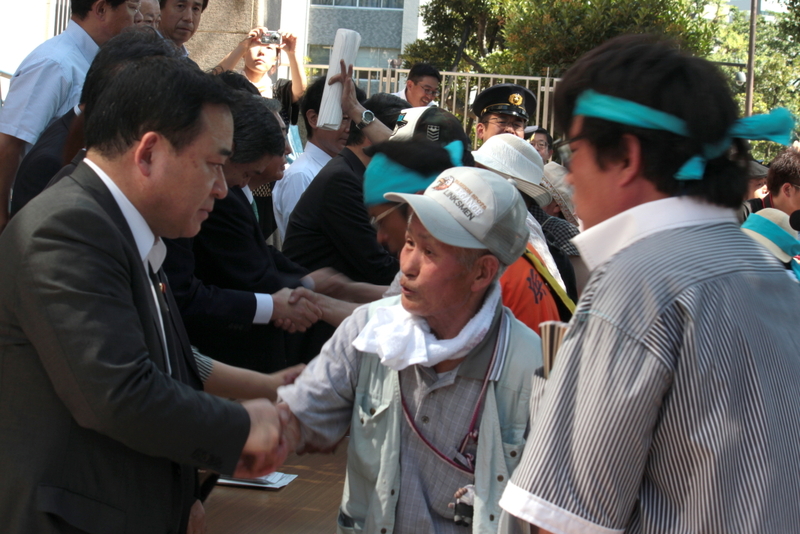 Parliamentarians greeted evacuees outside the Diet. 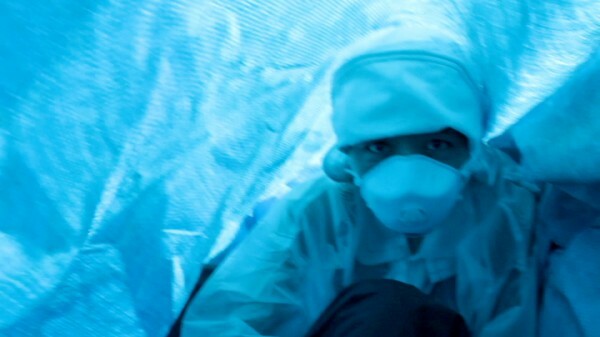 Hidden under a tarp, wedged between 50-gallon sacks of steaming bean sprouts on a flatbed trailer, we passed unnoticed through the checkpoint into the 30km evacuation zone around the crippled Fukushima Daiichi Nuclear Power Plant. 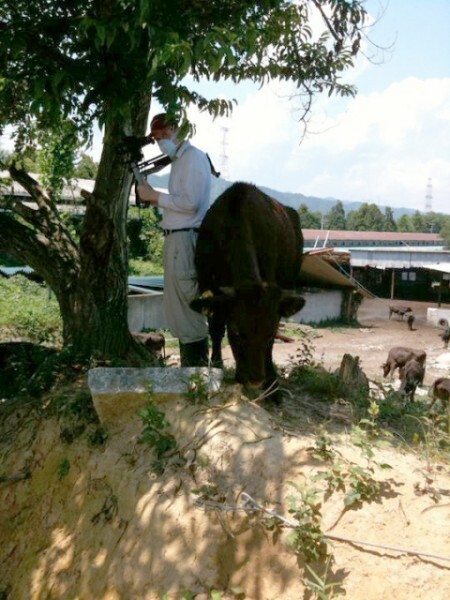 Permits to enter the zone are closely guarded and the review process is slow, so we stowed away with the evacuated dairy farmer Yoshizawa as he made his weekly trip to feed his 300 irradiated cows, which he's keeping alive in defiance of a government order. 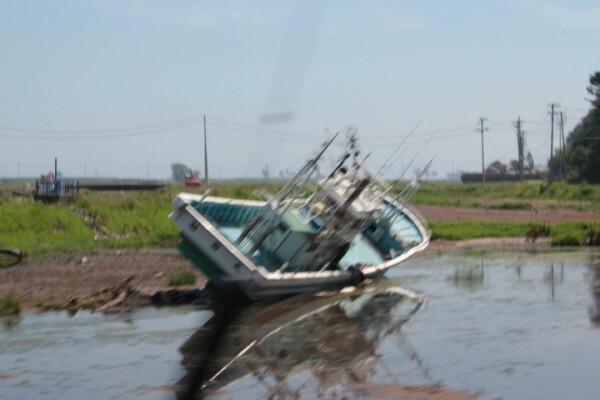 This field in Minami-Soma is still littered with boats, four months after the tsunami. Yoshizawa painted "save them or die trying" on the roof of the barn, the shovel of the back hoe that blocks the road to the ranch, and on signposts all along the road. Junko Kajino interviews Yoshizawa at his ranch. The rain suits we bought as a cheaper alternative to tyvek safety suits were not a good idea in the heat and sun. We were pouring with hot sweat within minutes. The cows were intimidated by my camera shoulder mount at first, but they became friendly very quickly. 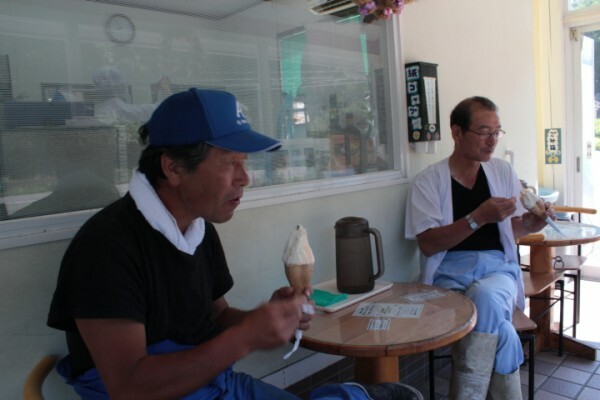 It was 2 microsieverts per hour at this ice cream stand on the way to the evacuation zone. 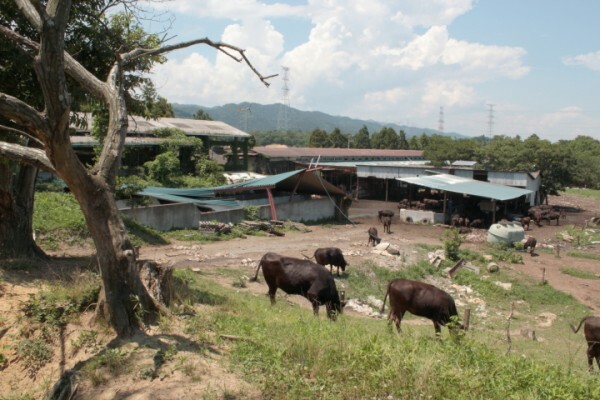 After the March 11 earthquake and tsunami, Yoshizawa cared for his 300 dairy cows without water or electricity. 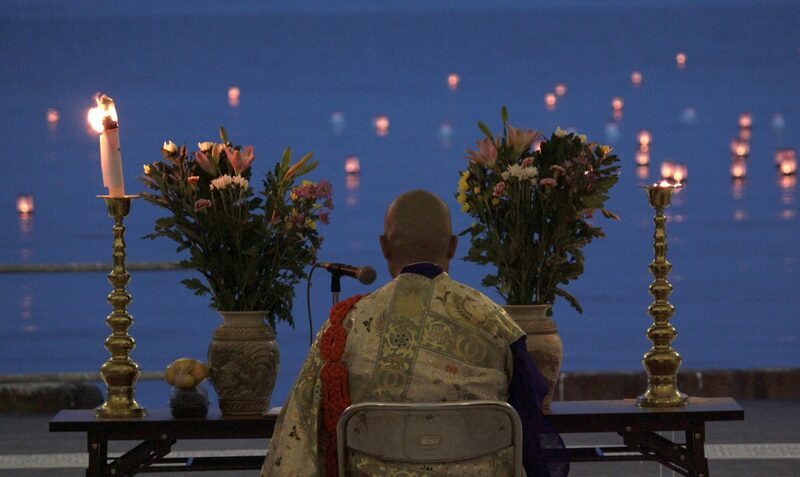 He could hear the explosions as the Fukushima Daiichi Nuclear Power Plant, 14 km away. After days of heavy radiation exposure, Yoshizawa was evacuated with the rest of Namie on March 17. 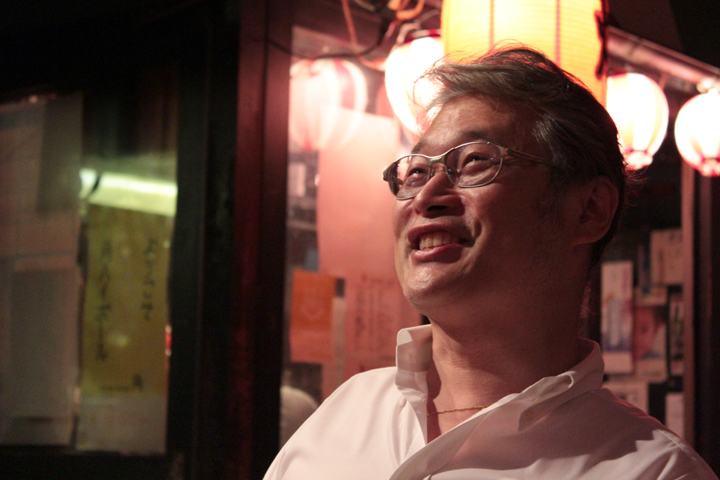 He spraypainted “save them or die trying” on the roof of the barn, and went to Tokyo. 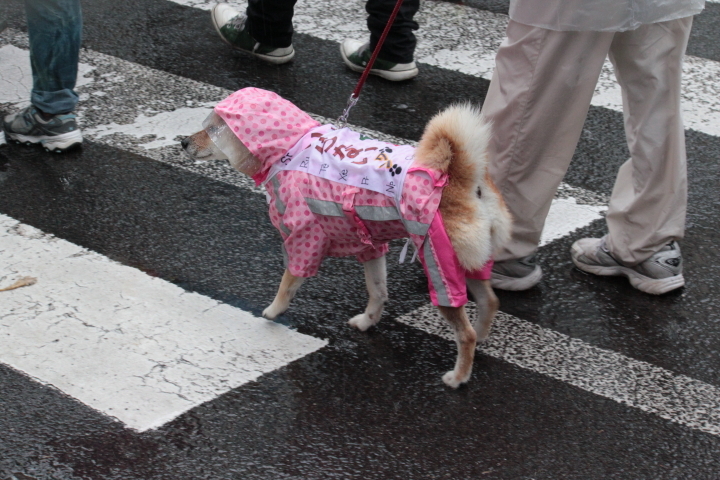 He talked his way in to see the chairman of Tokyo Electric Power Company. Both men cried as Yoshizawa begged the chairman to do something to stop the disaster. 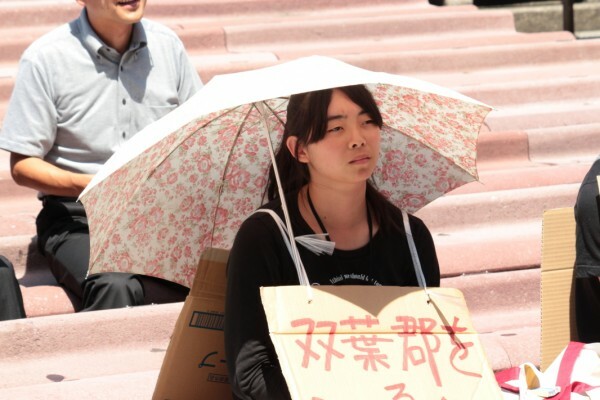 Yoshizawa slept outside in Tokyo for a week, keeping vigil and waiting to see government ministers, calling on them for action. 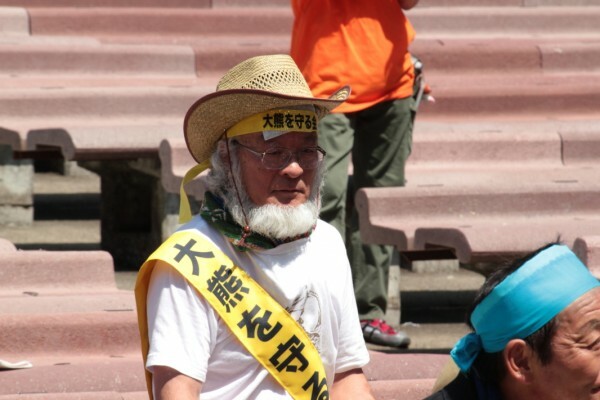 Now he travels Japan in his speaker van, proclaiming his refusal of a government order to kill his 300 cows. Uncanny Terrain is a documentary about organic farmers facing Japan’s nuclear crisis, and an online community fostering dialogue on food safety, sustainable agriculture, alternative energy and disaster response. Please keep the conversation going by making a donation. Junko Kajino on Yoshizawa's ranch inside the evacuation zone. 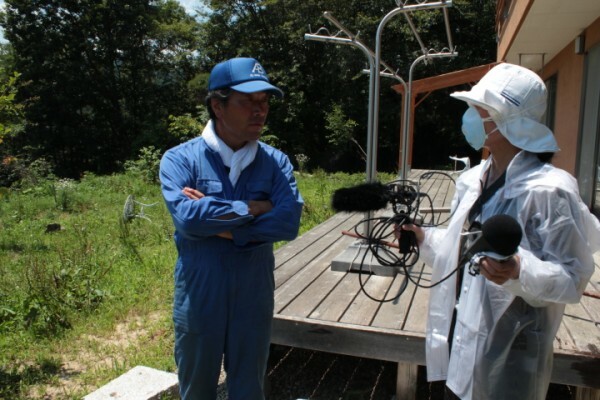 Yoshizawa’s ranch is 14km downwind from the Fukushima Daiichi Nuclear Power Plant. The government ordered him to kill his 300 cows. Most of his neighbors’ animals are gone, but some have been released and joined his herd. Yoshizawa refuses to kill his cows. He wants them to be studied for the effects of radiation. Uncanny Terrain is a documentary about organic farmers facing Japan’s nuclear crisis, and an online community fostering dialogue on food safety, sustainable agriculture, alternative energy and disaster response. Please donate to keep the conversation going. 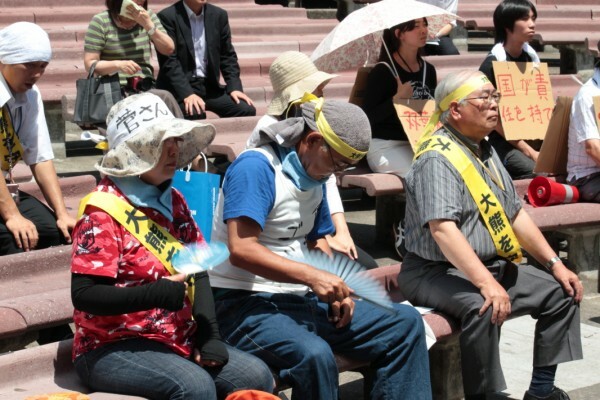 People from across Japan gather in Fukushima City on 6/26/11 to protest the ongoing danger of nuclear power and to call for accountability in the nuclear disaster. 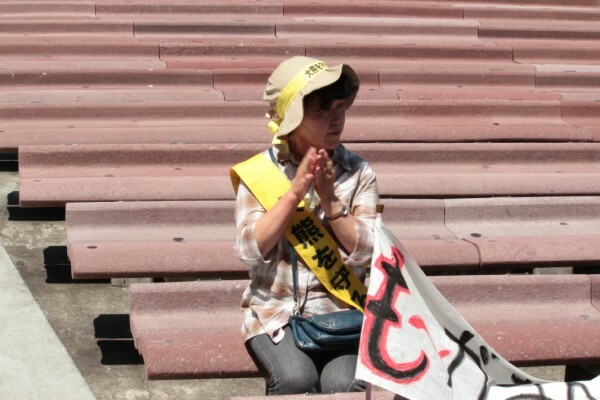 Ruiko Mutou of the Fukushima Network Against Nuclear Power has been opposing the plants since the Chernobyl disaster. Sachiko Soto of the Fukushima Network to Protect Children From Radiation says that families need support to evacuate children, who are most at risk from radiation. A representative of the Tokyo Association to Protect the Victims of TEPCO says that Tokyo must take responsibility for the nuclear crisis. One woman calls on the skeptical crowd to trust their fate to God. And a 25-year old farmer in western Fukushima chooses to stay and do what she can to help rather than return home to Nagano.